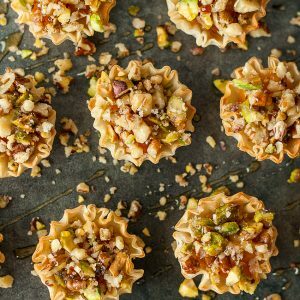 These Butternut Squash Phyllo Bites combine flaky phyllo cups with maple orange butternut puree, freshly toasted pistachios, walnuts, and pecans. Top them with a drizzle of honey and get ready to faceplant! Sometimes I get so ridiculously hung up on a veggie that they manage to find their way into almost everything I make. I humored my fruit fancy earlier in the month with a cranberry-palooza of sorts, but lately it’s all about the butternut. So much so, in fact, that I straight up butternuted my baklava. So what on earth are Butternut Squash Phyllo Bites? I filled crispy, flaky phyllo cups with pureed butternut squash spiked with maple and orange, topped them with a medley of toasted nuts and went beyond overboard with my bear-o-honey! They’re a bite-sized indulgence that are not only packed with protein, but are practically a vegetable too! At least I like to think so! 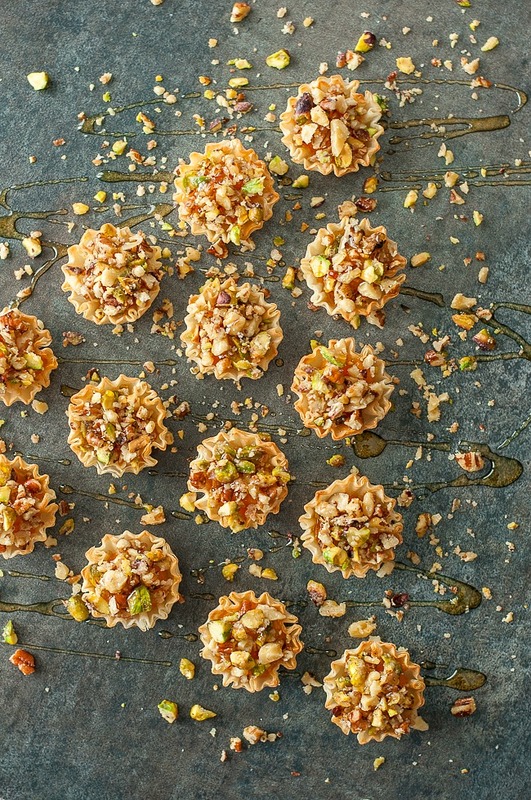 They taste like little jazzed up bites of baklava and are great for holiday parties and potlucks. The maple-spiked squash and candied nuts can be made in advanced and assembled when needed, for a speedy sweet treat that is perfect for the holidays! Bring a medium-small pot of water to boil and cook squash for 10 minutes or until fork-tender. In a food processor or blender, combine squash with orange juice and maple syrup and puree until smooth. Next finely chop your nuts. This can be done in a food processor, with a sharp knife, or even by filling a plastic bag with nuts and smashing them with a wine bottle. 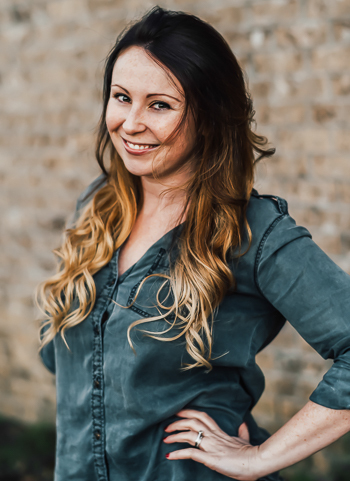 I've employed all three techniques, choose what's easiest for you! Bring a small skillet to medium heat and melt your butter. Add 1 tablespoon of sugar and your chopped nuts and saute for five minutes until they're nice and toasty and have a light glaze on them. If you have a major sweet tooth I'll look the other way while you double the glaze. Since I have a heavy hand with the honey I go light on the glaze. 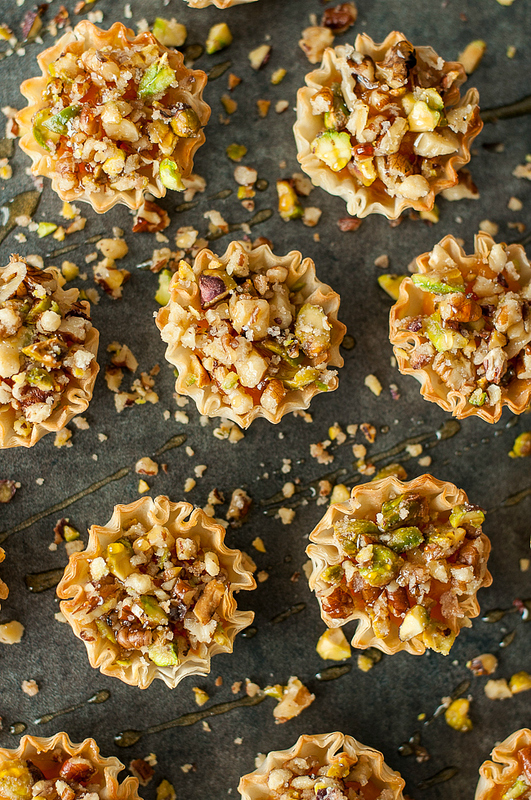 Fill each phyllo cup with a teaspoon of butternut puree and pile on the candied nuts! Top each bite with a hearty drizzle of honey and dig in! Best when served at room temperature. Butternut puree and candied nuts can be made in advance and assembled when needed! I'd avoid filling the cups too far in advance since the squash will eventually soften or soggify the phyllo layers but they can easily sit out on a party platter awaiting hungry guests! Since they're dairy free, there's no need to chill them. Score! The only thing that takes less time than making these, is eating them! They also make a perfect party pairing with my Chocolate Coconut Baklava Bites and Chocolate Cranberry Bliss Baklava Bites! Phyllo cups have never been so fun! So you said these counted as a serving of vegetables, right? I’ll take five a day. Times five. On another note I’ve always wanted to try baklava but it seemed a) too difficult and b) every recipe yielded enough to serve a family of ten with leftovers. Not so cool for a single lady. I’m majorly impressed by how simple your version looks and the appropriate yield. 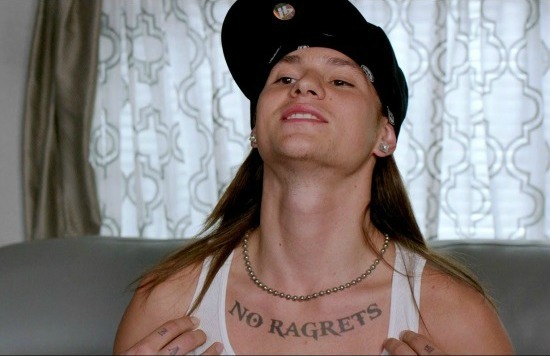 I want the pic of ze chickpea mouthing the honey bottle. OH my goodness these look crazy good. This is love at first sight. I can’t wait to taste these babies!! They are happening sometime between now and the new year. Thank you love! I’ve been on a butternut squash kick myself lately. These sound delish. Great photos! These are adorable and very creative with butternut. Thanks! Baklava is seriously one of my absolute favorite desserts: nuts, honey, phyllo dough, and now you’ve captured it all with a side of butternut. You’re a genius. I love these. Genius doesn’t even come close. I keep linking my mates to all Jen’s recipes- our friends ‘Christmas’ dinner is the most un-traditional. I have been saying for YEARS that I want to make my own baklava!!! This is going to happen this year for a Christmas something. I swear. You rock. Agreed — these look SO amazing! Love the twist on traditional baklava.